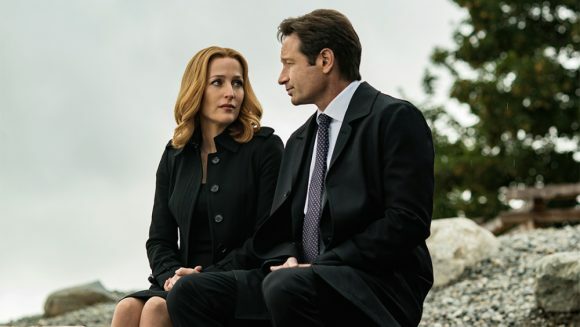 TVNZ 2 will screen the latest season of The X-Files within hours of the US. The 11th season will air 8.30 Thursdays from January 4, ahead of season five re-runs of Sensing Murder. “Season 11 appears to centre on Mulder and Scully’s son, William, whom Scully had to give up for adoption for his safety not long after his birth,” TV Line reports. “We explore that father-son-mother relationship, and you’ll see more of William than you’ve seen in a long time,” series creator Chris Carter said at this year’s New York Comic Con. The new episodes will guest star Annabeth Gish, Robbie Amell, Lauren Ambrose, Karin Konoval, Barbara Hershey, Haley Joel Osment and William B. Davis, who returns as Cigarette Smoking Man. According to Den of Geek, Carter included a few noteworthy sentences in the season 11 press release, seeking to right some of the critical sticking points from season 10. He addressed the minor controversy of the lack of women directors on the show by touting the diversity of the creative team, noting they’ve added “three women writers and two women directors to that group, rounding out to just under 50 percent diversity in our credited creative team.” Narratively, he mentions a “our running start,” which fans could interpret as the rust has been shaken off after the show’s 15-year absence from our television screens. The first episode of The X-Files’ 2018 return is bad. It’s as bad as you feared it would be following a cliffhanger that did nothing more than write the show into a corner getting out of was going to be damn near impossible. It’s the kind of episode that makes one wonder if there’s hope for the franchise anymore. But, then it passes and we move forward. That great thing about having more episodes this season (ten vs 2016’s six) is there are more opportunities to create the kind of episodes that made the original series such a runaway cult-hit. With a confidence that was lacking in the six episodes that made up Season 10, there are some intriguing mysteries, some eerie moments, solid action, and — praise the Lord and little green men — a fantastic comedy installment written and directed by the always-amazing Darin Morgan. Why are we having repeats of Sensing Murder when we could be looking at succeeding The X-Files with something bigger, so what about season 6 of Wentworth? Why are we still in the trend of having these silly repeats when we could do better? Why is anyone still watching broadcast TV? Back on topic – I didn’t even know there was another series of X-Files. Will it be a full US season or another mini-(non) event like the last series?